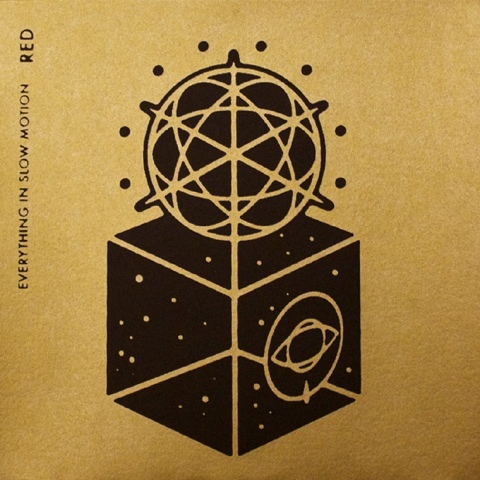 Atlas and the Anchor: Everything In Motion - "Red" 7"
Everything In Slow Motion is the new solo project from Shane Ochsner, the frontman for Christian post-metal band Hands. After recording the last Hands album, 2011's excellent Give Me Rest, he spent some time alone in the studio wrestling with ideas and the resulting 2-song debut 7" titled, Red was released late last week on Facedown Records as an extremely limited (only 330 copies) hand-numbered vinyl edition and as a digital download. The A-side, "Red" features a very direct and powerfully affecting vocal message of hope in this broken world set to a soundtrack that is equally heavy and churning as well as anthemic and anthemic. The B-side, "Exosphere" is just as intense and epic with a cosmic ambience and more emotional soul-baring lyrics.